Editing the flattened outlines does not just change the curve but alters the flattening mapping (that is the whole area enclosed by the curve). 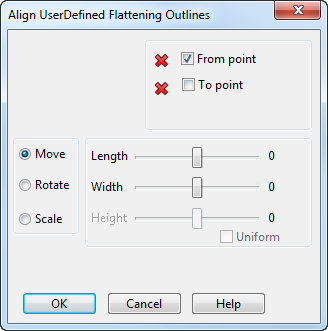 Click (Mean flattening flyout) to display theUser-defined Flattening dialog. 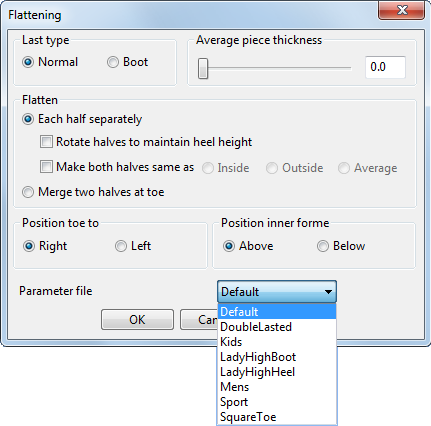 Select Inner or Outer depending on the shell that you want to edit or replace. 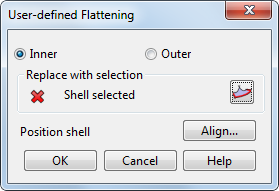 The flattening outline that is selected automatically relects the option you selected. 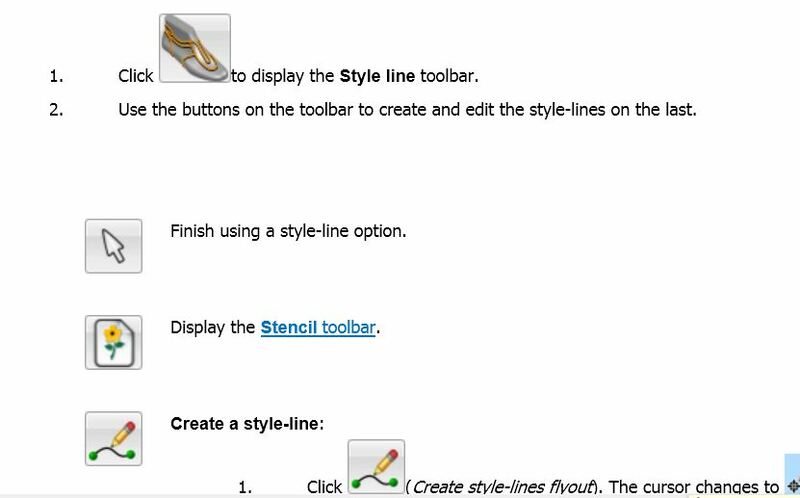 If necessary, select a different outline. Drag points on the shell to a new position.